Farmers from Bandar (Machilipatnam), transporting paddy from their fields in gunny bags, on bullock Cart. As the paddy harvesting season begins, many migrant daily wage workers have arrived to Krishna Delta for work. The works are offered between Rs300-Rs.500 per day. The production of paddy in Kharif across Krishna District is expected to be around 11 Lakh Metric Tons. 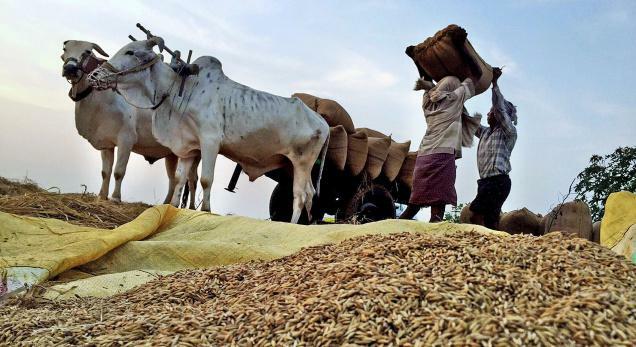 The District Administration is planning to open 232 PPC (Paddy Purchasing Centres) across Krishna District.